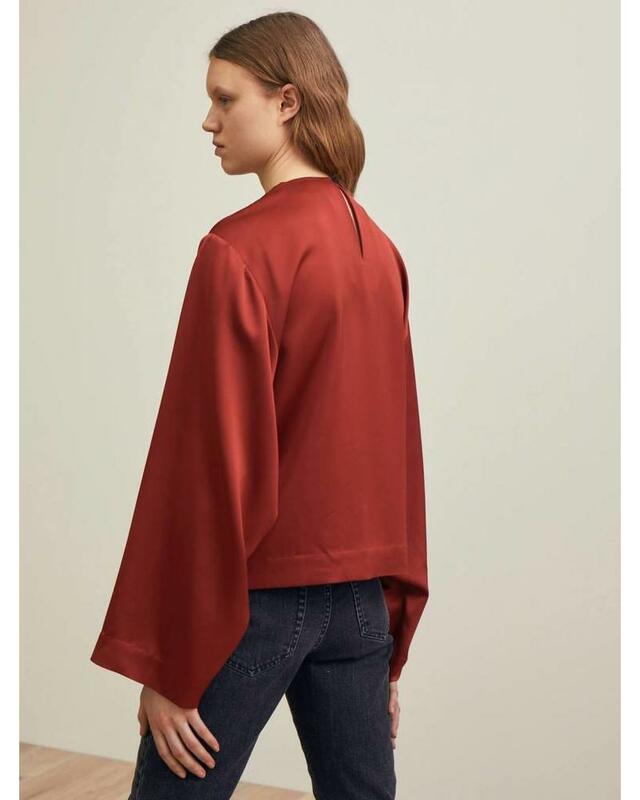 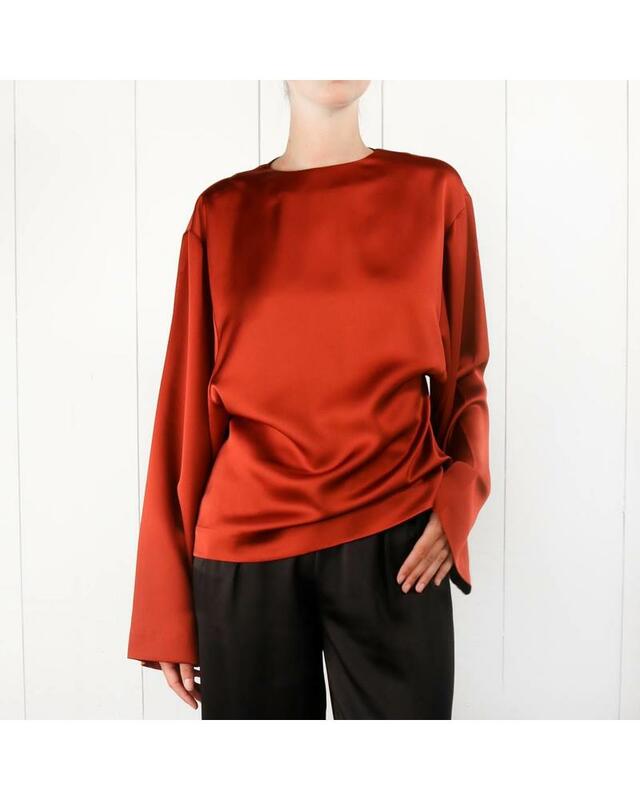 Avila is a blouse cut from soft and heavy tri-acetate mix, making it drape beautifully. 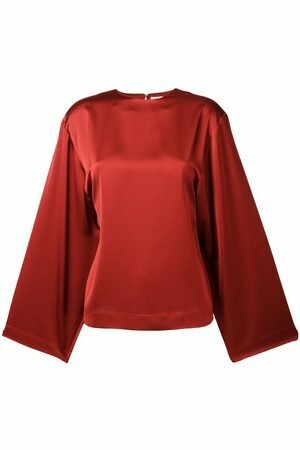 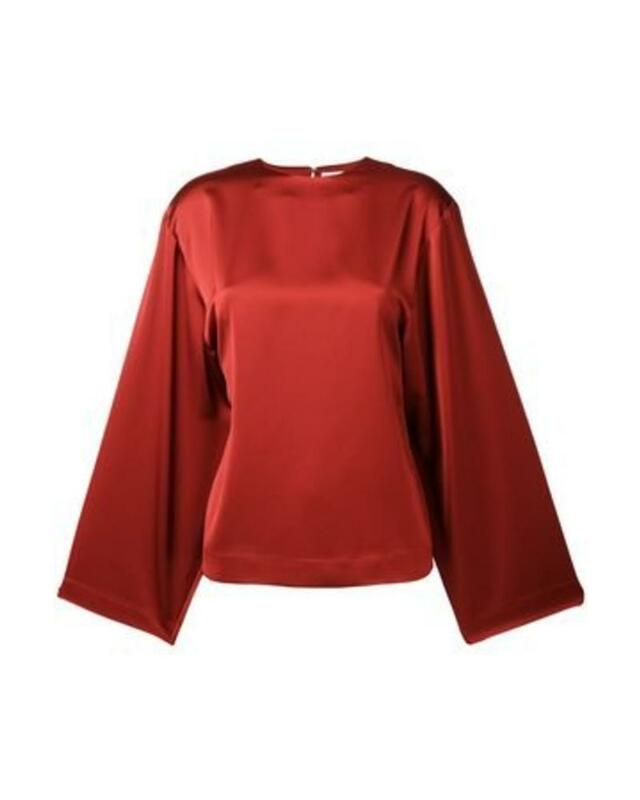 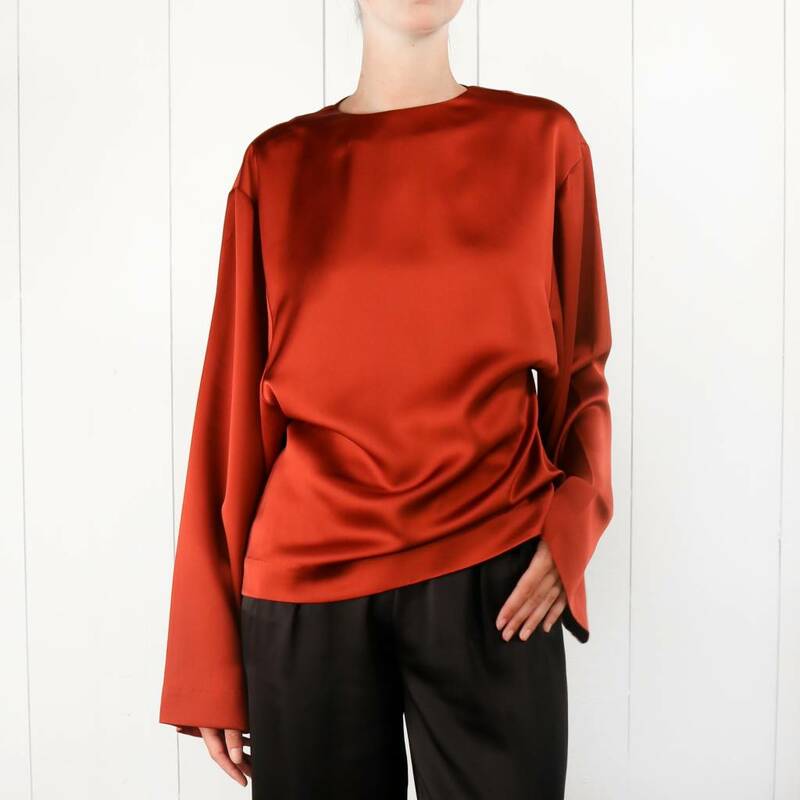 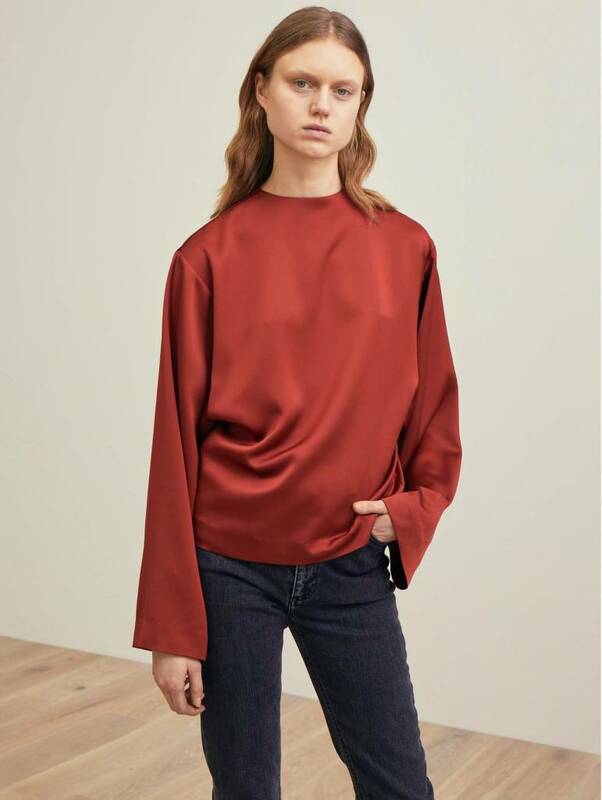 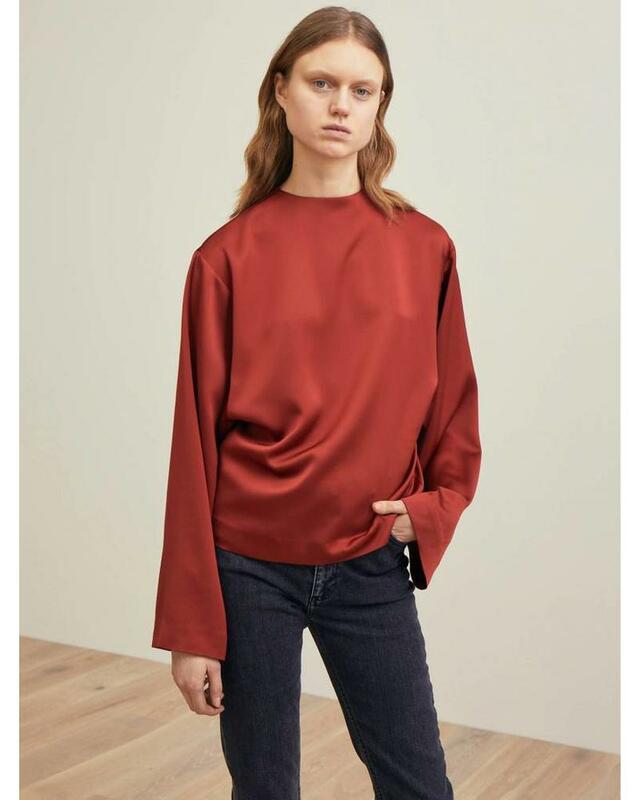 The blouse features a round neckline, and voluminous and long sleeves. 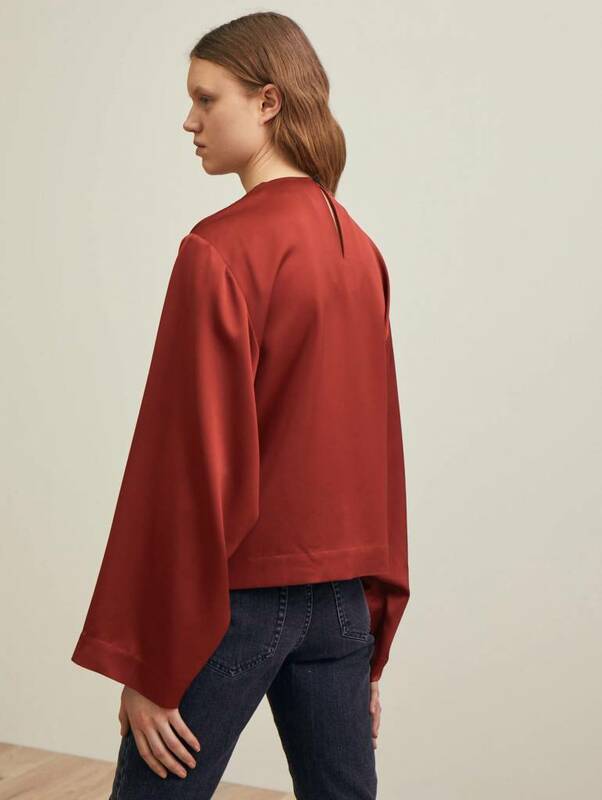 Style this blouse with a pair of grey denims for a chic everyday look, and and add heels by night.